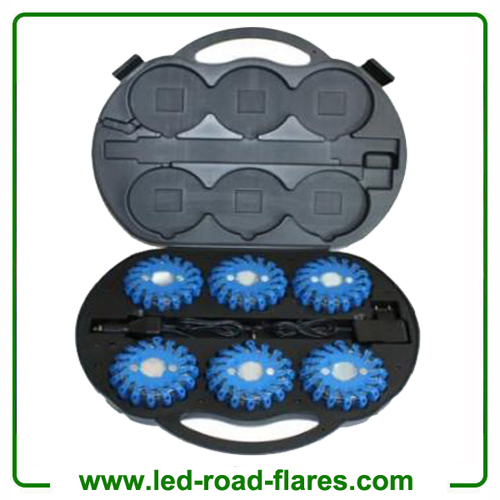 Recreational or civilian users also find LED emergency flares quite handy. 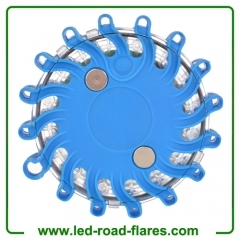 For these kinds of users, led flares can be employed in a wide range of settings like boating, personal traffic breakdowns, hiking, fishing, biking, RVs, power cut and many other situations. Non-emergency recreational uses can be for low lighting conditions or conditions where electricity mayn’t accessible for a range of reasons. How to charge it ? 1. Put flares into charging case with front side facing up. The (+) and (-) terminal symbols will be aligned. 2. Plug 12V/24V car charger or 110V/220V wall charger into power port of charging case. 3. Connect to power supply, the indicator light aside flares will light up as below. Charging: The indicator light aside flares turn RED and make a Green/Red alternating flash. Fully Charged: The indicator light aside flares stop flash and keep steady after 8 to 10 hours. If so, move flare left or right, up or down and the indicator light will flash and flares start to charge. 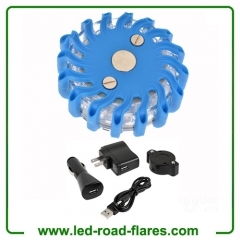 How to use led road flares? 1.Traffic control, warning lights, rescue beacon, hiking. 2.Police, firefighters, EMTs, rescue first responders, and members of emergency response teams. Offers a great addition to personal safety equipment for any motorist in an event of a breakdown or accident. 3. 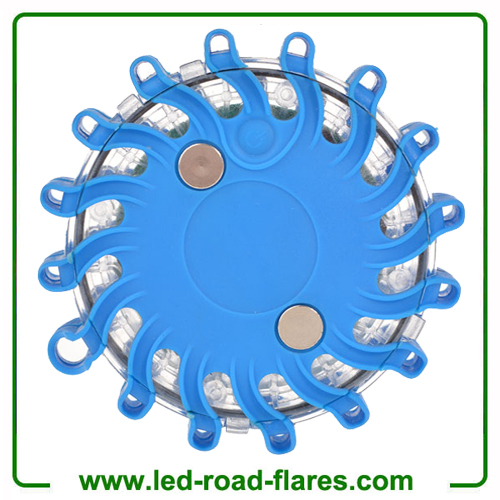 Led Road Flares is a great device for road safety and a must-have for safe driving on rainy, foggy or snowy days or at night, to prevent traffic accident, death and injuries in case of flat tires, engine trouble, dead batteries and car breakdowns. 4. Identify road hazards, signal for help, mark detours, underwater scuba or repair applications.